John DeSimone is vice president of cybersecurity and special missions at Raytheon. 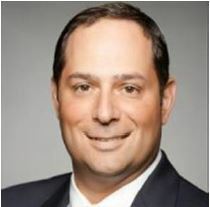 His expertise in cybersecurity includes network support, transformation, operations, exploitation, IT and professional services. He previously held senior leadership positions at CSRA Inc., CSC, IBM and Northrop Grumman Corp.
Why Watch: DeSimone plays a key role in Raytheon’s nearly $1 billion DOMino contract with the Homeland Security Department that delivers cyber services to more than 100 civilian agencies. Recently, Raytheon launched a new cyber-as-a-service offering, which DeSimone said is a way to help organizations achieve faster and more relevant protection while driving down costs. Cloud-based subscription Raytheon Cyber Academy is an example of this new type of offering. DeSimone headed up Raytheon’s transformation of its cyber portfolio into nine distinct innovation areas: cyber analytics and intelligence services, cyber warfare, cyber-as-a-service, cybersecurity automation and orchestration management, cyber physical systems security, cyber resiliency, cyber systems integration, computer network operations mission support and mission services. One of the biggest misconceptions around cybersecurity is a belief that machine learning and artificial intelligence will solve cyber talent shortages, he said. “While investments in these technologies are critical to maintaining a competitive advantage against our adversaries in the cyber domain, it will not address the critical human element needed to address certain tasks,” DeSimone said. He is also a member of the Raytheon group shaping the workforce pipeline.